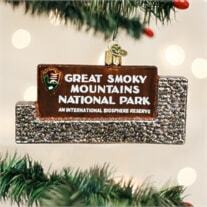 Great Smoky National Park Ornament - Celebrate the 100th anniversary of the National Parks. Made in China. Gift Boxed. Will ship separately as soon as it arrives from the manufacturer.